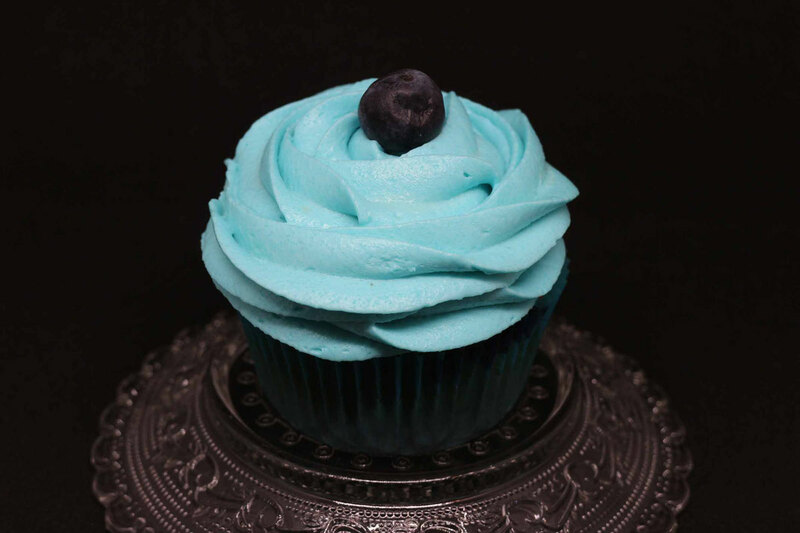 Today we are baking this sweet blueberry cupcakes. 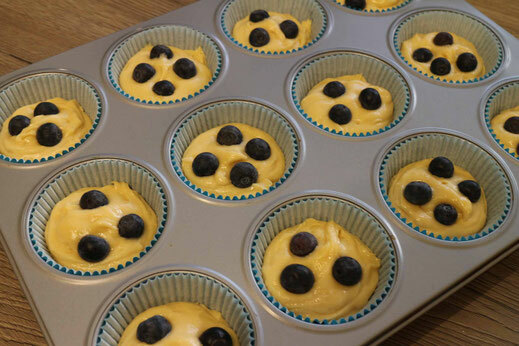 You don't need many ingrediences and tools, just some basic cupcake dough, blue baking cups, blue food color, a basic frosting and some blueberries. First you bake the cupcakes in the baking cups. For this I use a basic cupcake recipe and to make my life easier I use a piping bag and a dough dispenser to divide the dough equaly between the baking cups. You can also use spoons or an icescoope but this is the easiest way for me. 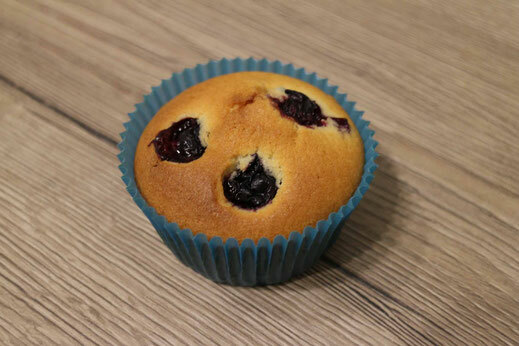 When you divided the batter add some blueberries to the top and bake them in you oven. After the cupcakes are cooled down, you can start to decorate them. Take some ready to use frosting or mix your own (I use Paradiescreme, a German dessert mix with cream instead of milk). 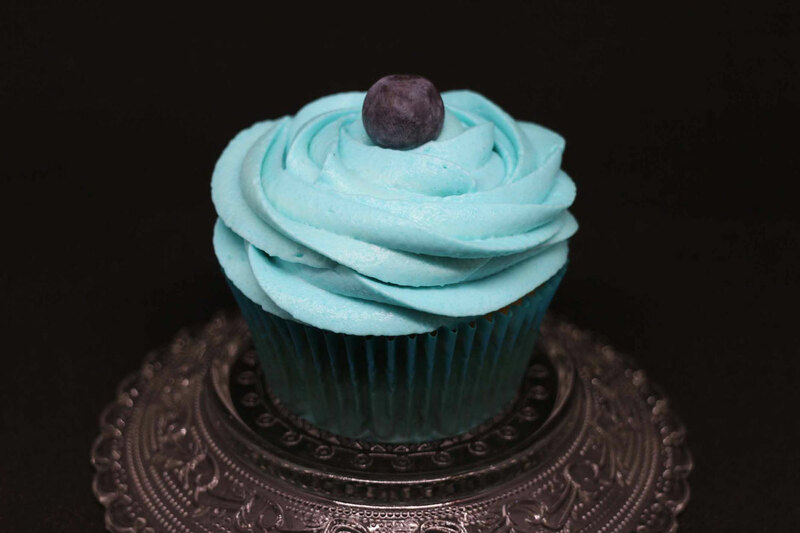 Dye it blue with some blue food coloring and fill it in a piping bag with a Wilton tip 2M. Now you are piping two rosettes on top of each other onto your cupcake. Start on the inside of the cupcake and pipe slowly all around till the whole cupcake is covered. Nor repeat this a second time. Last place a blueberry on top and you are done :-).